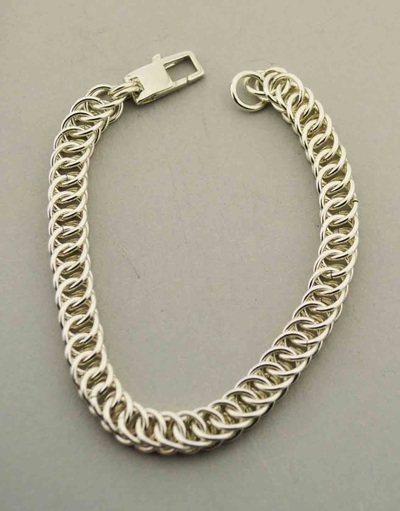 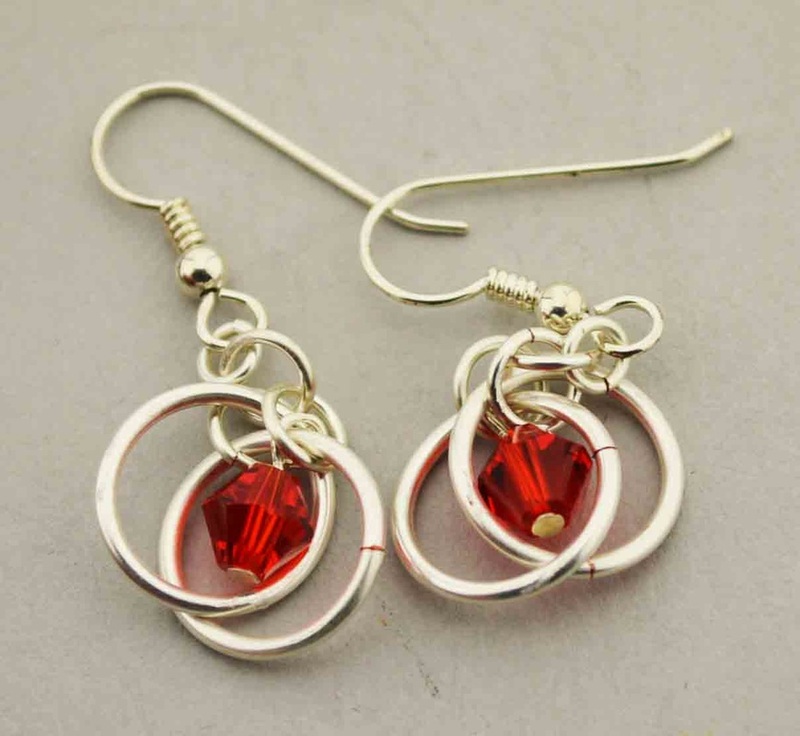 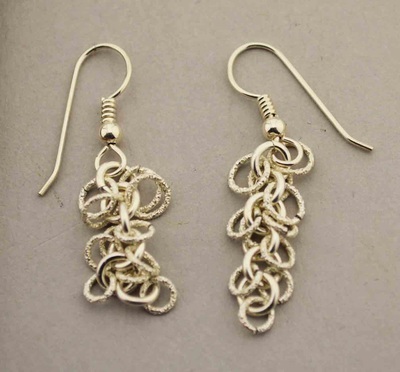 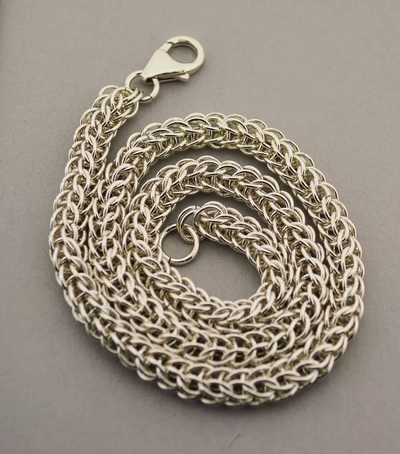 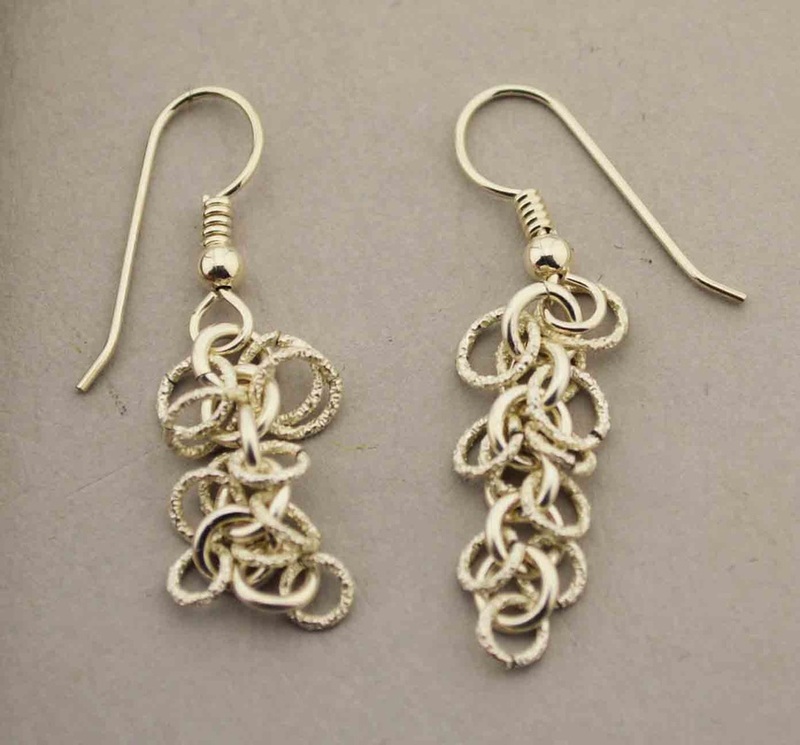 Each one of these hand-made pieces involves using intricate patterns to create jewelry with metal jump rings. 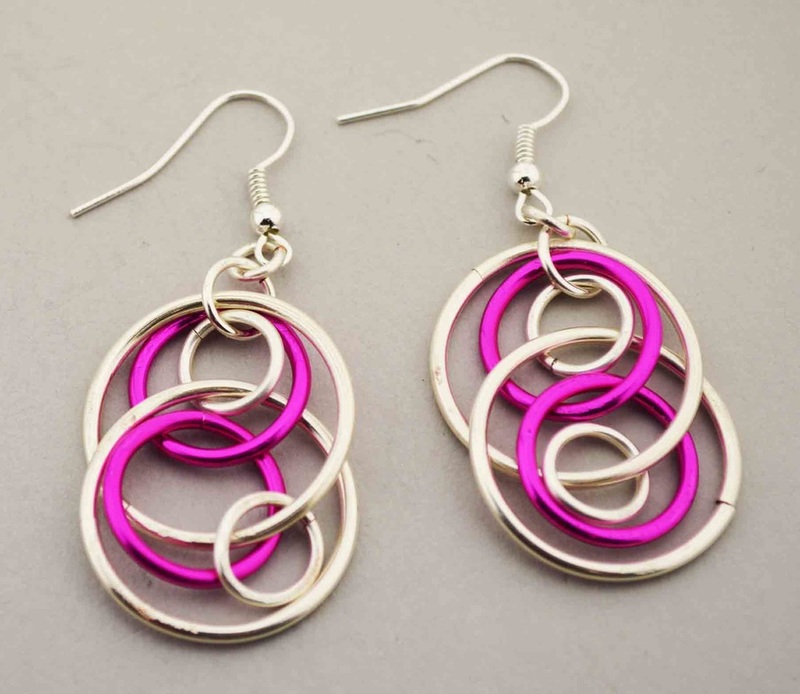 Each ring is opened and closed by hand to create the designs. This process is very time consuming. 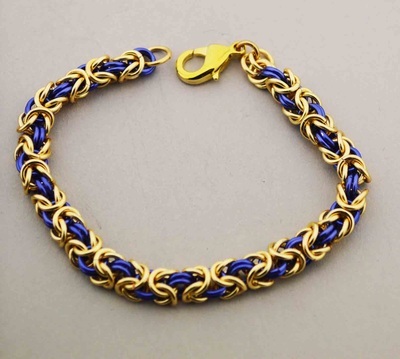 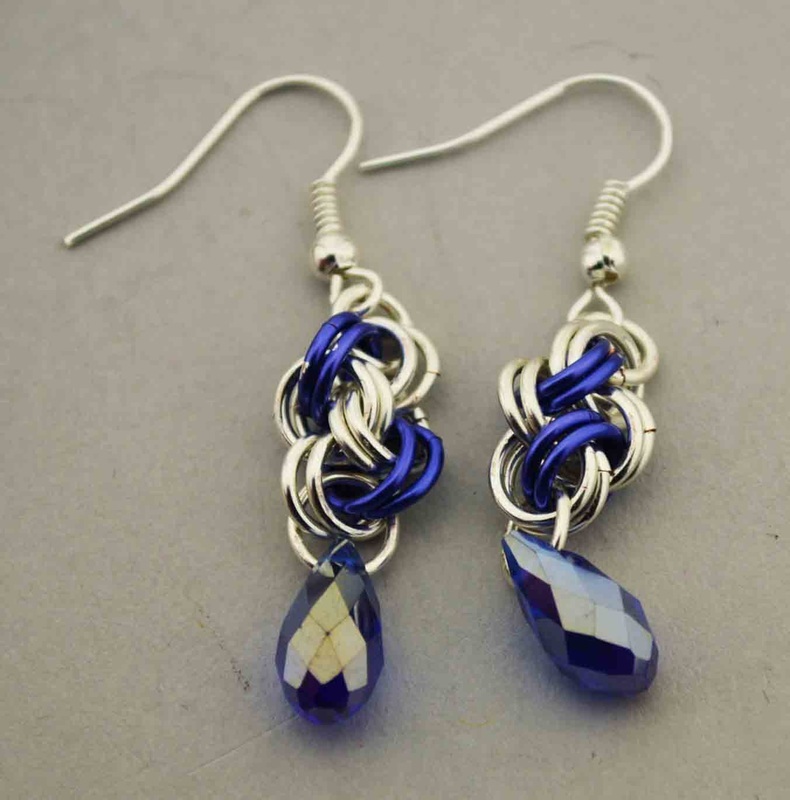 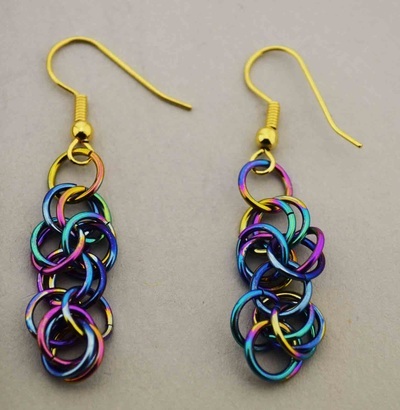 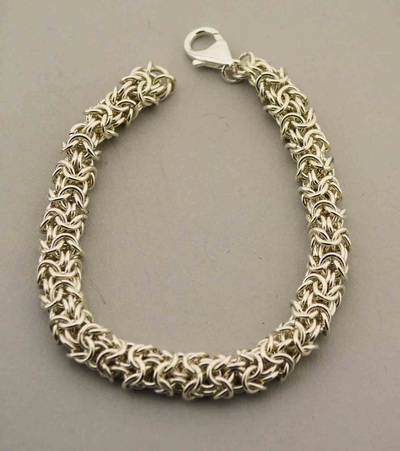 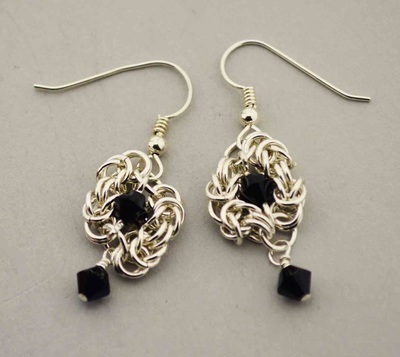 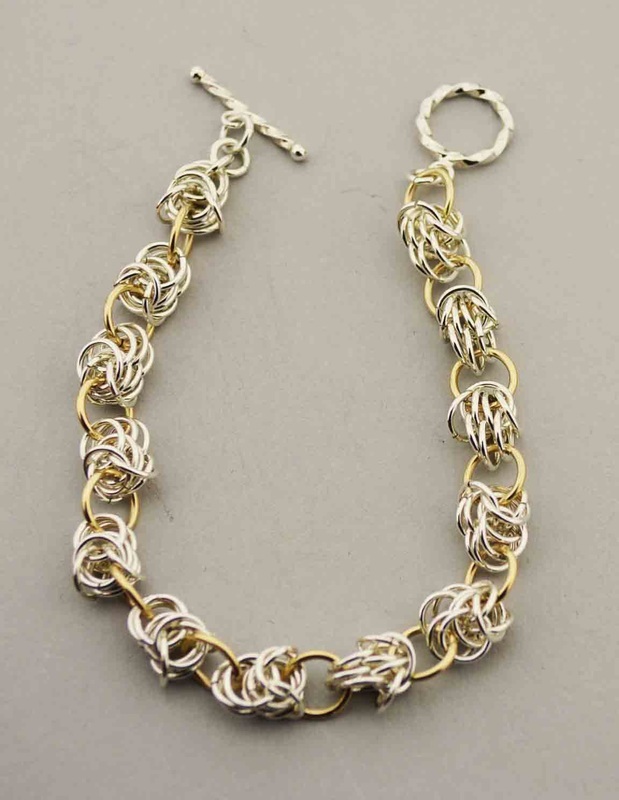 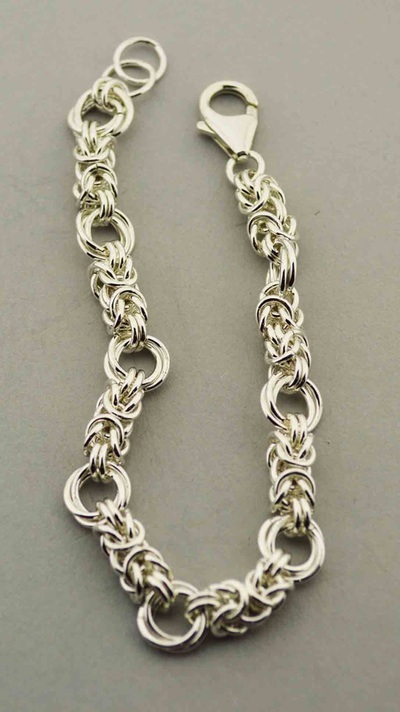 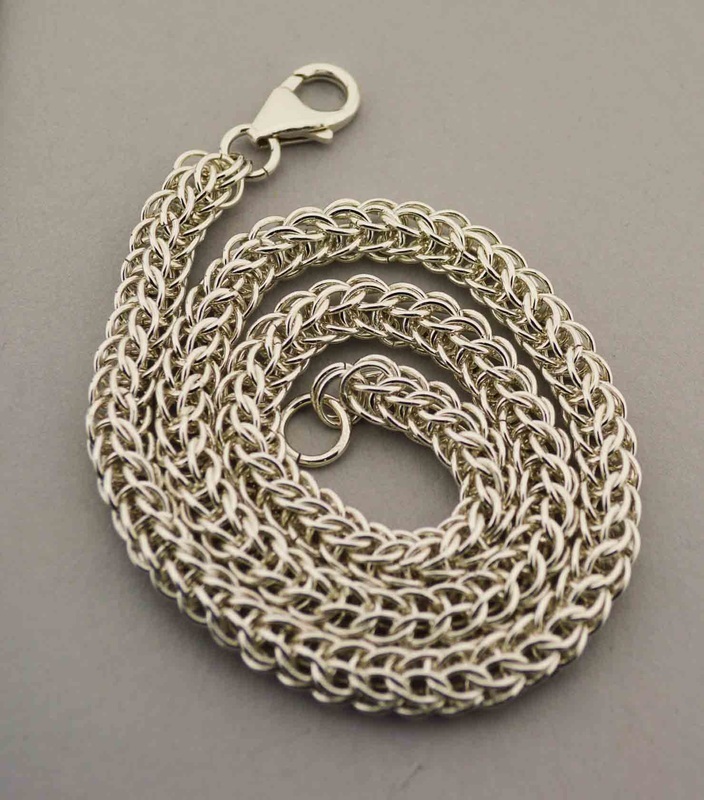 Gwen has taken extensive classes in making chainmaille jewelry from Janet Trosino at William Holland Lapidary School in Young Harris, GA. Wire used is generally Argentium Sterling Silver or 14kt gold-filled, but she also uses Parawire enamel-coated copper wire when a colorful touch is needed.